Do you ever despair at your child’s over-the-top reaction when you dare to say no to them? Even when you’re being perfectly reasonable in your request? If so, this week’s video can help! Setting limits was one of the biggest things I learned when I discovered Aware Parenting / Hand in Hand. I didn’t realise it was possible to set a limit in a kind, respectful, even playful way AND then listen to their feelings around it whilst still gently holding the limit. 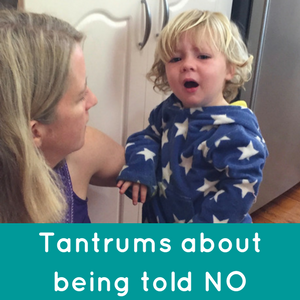 It never occurred to me that tantrums about a limit were healthy & incredibly helpful for my child. This has been one of the most helpful things in my parenting journey. And something I put into practice every day with my kids. 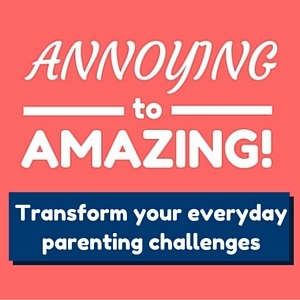 So in this video I talk about the importance of setting limits with our kids, how to do it when you know they are going to have a strong reaction, and how helpful the ensuing tantrum is. Setting Limits is a massive topic and one we cover in great detail in ANNOYING to AMAZING. So if you’d like more support around saying no & tantrums, be sure to sign up to the A2A Waitlist and be the first to find out when doors next open. And if you have any questions you’d like me to answer on video or in my new upcoming podcast, please email me today.